Hope you enjoyed the Long weekend. Mine was fun and busy, I'll put the Weekend Gist post & vlog up at the end of the week but for now catch up on all the other Vlogs and Weekend Gist Posts. 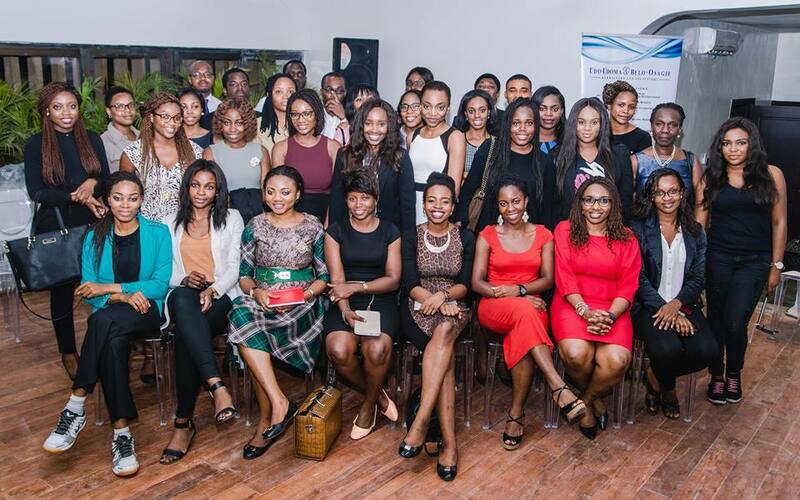 So last week I was a part of She Leads Africa She Hive and it was a Great Investment. The picture below was taken by Mohini. My church was having a Prayer conference every morning last week and the traffic in the last 7 days was TER-RI-BLE too so this meant I couldn't attend all the activities on the program or I arrived late on certain days. Here's a video of me playing at the vigil at my church on Friday. So all the activities happened at a Co creation space called Crea8, which was launched the weekend before the She Hive began. This cool art was done by Yvonne and she has been comissioned to decorate the walls at all the other Cafe Neo Branches. If you don't know about Cafe Neo, read my review of it here. The lady speaking became a Partner after 12 years. It was a very informative talk and we had one on one sessions with the lawyers who were knowledgeable about our respective industries. A representative of Pal Pensions spoke to us on thinking long term about our money. I hope you get monthly alerts from your Pension fund Administrator. If you work a 9 to 5 and you don't get it, better talk to your HR or Finance person to avoid stories that touch. If you're an Entrepreneur, start doing voluntary contribution. From the picture above, you can vaguely see how much you will accrue if you set aside a certain amount every month for a specific number of years. We had Wilson's everyday, Delicious. All the artwork you are about to see was created with a mixture of these 6 colours. This is my painting, what do you think of it? Done by Jumie Colada who is an illustrator. She managed to incorporate the She Leads Africa Theme into her art. One of the 6 Finalists, her company is called Insta Health & she is from Uganda. She pitched to potential Investors the Friday before the Final Showcase. Afua rounding up on the Final Day! It was a Great Experience, I met some Amazing People, formed New friendships, learnt a lot about business, especially from the Legal Clinic by Udo Udoma & Bello Osagie. I didn't attend the Entrepreneur Showcase on Saturday but Berry did so you can read up about it here. P.S. I'm going to be ministering at Glowreeyah's The Expression on the 11th of October, Save the Date!! P.P.S. I didn't attend all the sessions so you can search the hashtag #SheHiveLagos, #SheLeadsAfrica and #MotherlandMogul on Twitter & Instagram for more pictures and information about the She Hive. Very nice photos you got! Yay to all your sax gigs! Loved all the paintings, looked like you had quite a week...! Thanks Anne, it was quite a week!!! It was very inspiring and I'm glad initiatives like this are popping up. I have a pretty good feeling She Leads Africa is here to stay as they've got some very influential partners/sponsors and they have been featured on a number of international publications and international TV stations too. Plus, the founders are very passionate about the work they do and I'm sure the entrepreneurs they have helped and supported would ensure it stays supporting female entrepreneurs. You didn't upload Berry's painting. It was really beautiful. Nice seeing you at the SheHive. It was lovely seeing you too!! I didn't take any pictures of it sadly, but I loved the 2 face effect and hearts around it! Thanks Ekaette :) Definitely do so!!! lool, i hope that's a good Wow! Young women are truly doing big things in Africa.. no doubt about it. @Tuke I would have loved to see your painting lol. How good are you normally? They are o, No time to Dull!! This your painting is l'agbara o. But like I always personally say, "Art can never be bad. It can only be an expression".